ope for Haitians is a 501 (c) 3 charitable organization founded in 2001 to extend aid to the poorest of the poor in the country of Haiti. The organization, located in Rockford, Illinois was founded by a group of service minded individuals who have experienced the extreme poverty while visiting Haiti. Hope for Haitains is supported entirely by donations from individuals, corporations, foundations, and churches. TMJ Software (Song Surgeon and Video Surgeon) is pleased to partner with Hope For Haitians to assist them in raising money to help the people of Haiti. 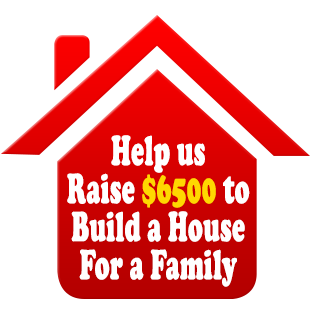 The cost to build a two family house with running water is $6500. Won't you join us in our efforts to reach this goal in 2016? Please consider a donation by submitting the form below. No amount is too small. Whatever you can give is appreciated. Thank you, in advance, for your assistance. After you click the above button you will be transferred to the Hope For Haitians website from where you can make your secure donation. Thank you and God Bless.